As expected, Germany went with its highest-profile Cannes Best Actress prizewinner. 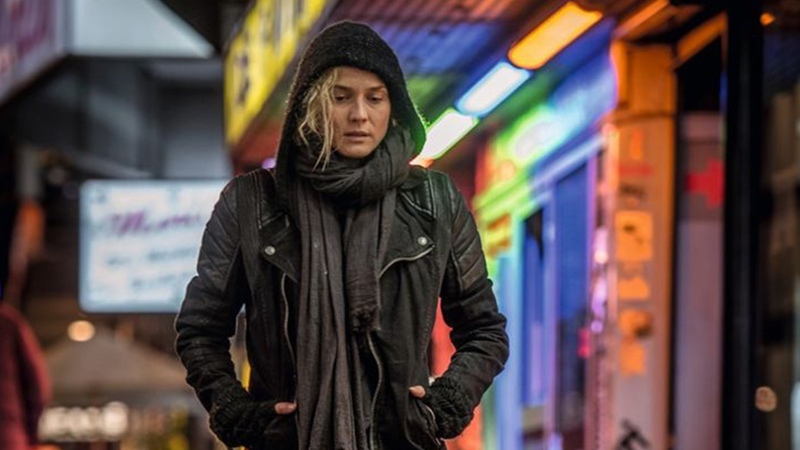 As expected, Germany is submitting its Cannes Best Actress winner “In the Fade” as its official Oscar entry. Turkish-German filmmaker Fatih Akin’s intense tale of love and vengeance, starring Diane Kruger, played at the end of the festival, so many film writers will catch up with it on the fall festival circuit. Kruger plays Katja, whose life falls apart after her husband and son are killed in a bomb attack. While the police arrest a young neo-Nazi couple, Katja seeks her own form of justice. Every country chooses its foreign-language submission differently. In Germany, an independent jury of representatives from eight trade associations and institutions active in the film industry was appointed by German Films, and picked “In the Fade” out of 11 submissions. “In the Fade” was produced by bombero international and Warner Bros. Film Productions Germany, in co-production with corazón international and the French Macassar Productions and Pathé. The production was funded by Filmförderung Hamburg Schleswig-Holstein (FFHSH), the German Federal Film Fund (DFFF), the Federal Government Commissioner for Culture and the Media (BKM), Film- und Medienstiftung NRW, and the German Federal Film Board (FFA). Magnolia Pictures is planning to release the film stateside in February 2018. Going forward, the Academy will publish a list of all international submissions for the category Best Foreign Language Film in the first week of October 2017. Last year, 85 countries submitted films. Shortly before Christmas, the Academy will announce a shortlist of nine selected films from which the final five nominees will be chosen by the foreign-language committee, to be announced on January 23, 2018. The Oscar show will take place on March 4, 2018 in the Dolby Theatre in Hollywood.